NHL News : Team going all in for Bobrovsky trade, plan to sign him for 8 more years. Team going all in for Bobrovsky trade, plan to sign him for 8 more years. Major move on the way. Oh boy there were rumors about this over the week end but we now have a very solid source reporting that this may actually happen. Let's start at the beginning. Last week the Florida Panthers executed a trade with the Pittsburgh Penguins that left many around the league scratching their heads when you consider the kind of players that were moving each way. Most notably the Panthers acquiring both Derick Brassard and Riley Sheahan from the Penguins, two players on expiring contracts that were not at all a fit with the current direction of the Panthers. The Panthers of course got additional assets in the deal in the form of picks, but the fact that they took on Brassard and Sheahan at all had many wondering what the next move for the Panthers would be, because it was clear there would be a next move. Well there has been speculation that both Sergei Bobrovsky and Artemi Panarin could be offseason targets for the Panthers and we now have confirmation that at least one of those two things is true. The Panthers however appear to be unwilling to wait until the post season and instead would like to lock in Bobrovsky for the long term before any other franchise in the National Hockey League has the right to speak to him. 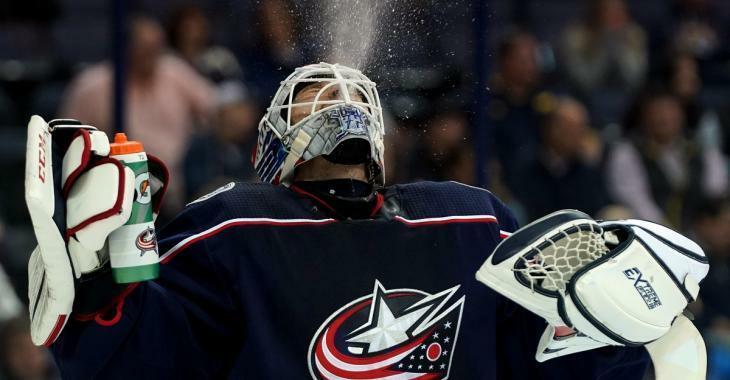 According to a breaking news report from Larry Brooks of the New York Post, the Panthers now intend to deal for Bobrovsky ahead of the 2019 National Hockey League trade deadline. Additionally Brooks reports that he has been informed by his sources that Brassard would be part of the package deal that would bring Bobrovsky over to Florida as part of this trade which would explain why the Panthers went after him in the first place in spite of the fact that he is a rental and that they are a non playoff team. That however is not the only detail Brooks is reporting. His sources have also informed him that this deal from the Panthers is designed to entice Bobrovsky to sign a maximum term contract with the organization, adding that the Panthers would like to lock him up for the next 8 years in spite of the fact that he is already 30 and has slumped in form recently. This would of course be a gigantic move, but I'm not entirely sure that it's one that would work out for the Panthers over the full 8 years of that contract.